Australia, as a travel destination, has proved to be one of the most attractive countries around the world. The country stands as a huge island surrounded by the Indian Ocean, with many things to see and enjoy. The government has also incorporated various strategies that will improve the attractiveness of the country in the tourism sector. Attracting a massive number of tourism and foreign visitors increases the country’s profile among other countries around the world. It also helps in increasing the amount of foreign currency that a country holds, which improves its balance of payment in the international trade. However, although the who country has proven to be one of the most attractive and pleasant tourist destinations, Perth remains to be the leading tourist destination that many people, both locally and foreigners are willing to visit. It is the capital city of the Western side of the country. Its strategic position, by the waters of one of the largest oceans in the world, makes it an attractive travel destination. Some of the essential aspects to see in this city include historical seaside towns, sandy beaches, and riverside parks. AIA has been helping foreigners to streamline their immigration processes so that they can be allowed within the country for a memorable visit. 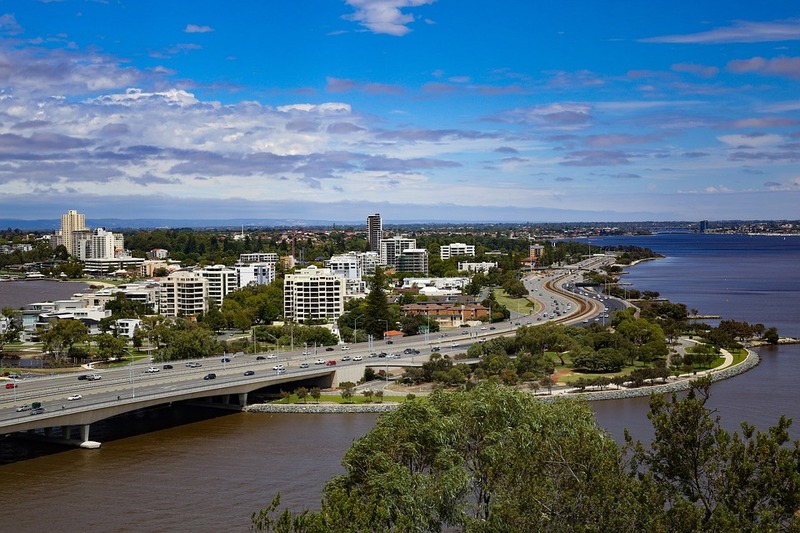 Perth has other important and attractive opportunities that make it the most attractive city in the western region of Australia. Some of the factors that make Perth an attractive travel destination have been discussed below. Weather is a significant contributor when it comes to traveling and enjoying different sites around the world. It is common knowledge that weather has the potential to break or make a holiday. Perth prides itself as a city that has moderate climate and weather. The city experiences sun and warm weather conditions throughout the year. It is challenging to get another city in the country that has a sufficient supply of sun and warm weather throughout the year. The city has mild temperatures of around 20 degrees during the winter, which makes it the perfect escape city for people from other cooler regions. Although temperatures are very high during the summer, above 30 degrees, many beaches provide the best conditions and areas where individuals can cool themselves. Most of the buildings have an air conditioner, which makes the hot weather bearable. Possibilities such as outdoor activities, beach camping, and picnic in the park are very viable with conducive weather conditions. People planning for a holiday trip in Australia should consider Perth at the top of their list for consideration. It is easy to pick up the vibe when one visits Perth as it is a city that is relaxed and laid back. Most of the visitors who visit this city covet its lifestyle due to low population, stunning sandy beaches, and great weather that is almost the same throughout the year. Western Australia is a region that has all the necessary and significant aspects that would suit any person with any needs. People who prefer active holidays, natural experiences, or even different cultural activities will find them in plenty. There is something to suit every person who visits the city. It is straightforward to navigate through the city with the use of various methods that an individual chooses. People can quickly cycle through the city, use public transport, or even walk freely to navigate and see multiple parts of the city. There is an extensive railway network with three train stations, which are located in the town to convenience individuals and help them to move around with ease. Visitors can as well enjoy free transport system that operates at designated areas of the city. Australia is famous for its large number of national parks, which are situated in different parts of the country. Individuals visiting Perth will get an opportunity to visit The Pinnacles Desert, which is located in Nambung National Park. It is this national park that visitors will have a chance to visit Pinnacles Desert Discovery Museum, which is a center that has been formed to explain the history behind the vast natural limestone deserts and other essential aspects such as flora and fauna. Visiting the deserts in this region will give visitors an opportunity to enjoy birdlife and other native wild animals such as kangaroo among others. Another important physical feature that one can experience when visiting Perth is the Wave Rock, which is one of the unique rock formations that one can see in Australia. This feature is more than 15 meters high and was formed many years ago and is a real aspect that explains the impact of water erosion. This might be a distance away from Perth but is a phenomenon natural and physical feature that can bring a huge difference to the holiday of any person who visits Perth. Located in Esperance, about six hundred kilometers away from Perth, the Pink Lake is a standout feature that makes Perth an attractive travel destination. The lake has been attracting tremendous attention from the tourist’s thanks to the enormous mainstream and social media awareness. Another important physical feature that is close to the Pink Lake is the Swan River. This is a historic river that flows directly through the city before draining into the Indian Ocean. It has for a longer period, been used as a photo area as it helps individuals to capture the skyline of the city. Visitors can enjoy a lavish riverside homes that characterizes the river down to the ocean. Perth is one of the cities in Western Australia that is the epitome of culture in the country. It has many museums and cultural centers where visitors can always catch up with what happened several years ago. Some of the important places to visit include Dampier Marine Gallery, Diamonds and Dinosaurs exhibition among others. Museums in this side of the country provide sufficient details about the people of Western Australia. This makes Perth hold multiple cultural functions and other community activities, which means that visitors will always have something to enjoy. 5 of Best Cities to Live in Around the Globe – Is Your City in the List?